Muttz Mart is the eStore for Dentler's Dog Training, where you can purchase food, toys, training & behavior aids, and gifts & supplies that we personally use or endorse. We have partnered with some of the finest, most reliable companies that support and love dogs almost as much as you do! And the best part - 100% of the proceeds we receive from our relationships with these companies are donated to support local rescues, shelters, and other dog-related endeavors! Please note that we only receive these proceeds when you shop by clicking on the advertiser banners below. Thank you for your support! Visit our personal Amazon page and choose from our recommended products. Animal Den has gifts that include everything from T-shirts, housewares, figurines, and other collectibles, to towels, socks, key chains, signs, and more for all dog breeds. Best Bully Sticks provides top-notch bully sticks and single ingredient chews that dogs will love and keep them occupied for hours. Dog Collar Boutique offers beautiful, high quality dog collars, leashes, clothing, and accessories. 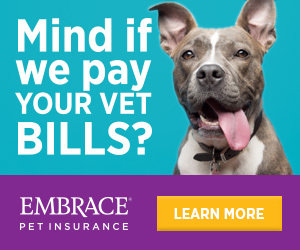 Embrace Pet Insurance promises to provide genuine support and certainty when pet parents need it most. Kurgo is a leading supplier of outdoor gear for active people and their dogs. Natural Wonder Pets formulates and manufactures proprietary, all-natural, holistic, alcohol-free, small batch organic herbal remedies for dogs and cats. 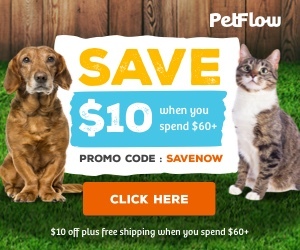 Pet Care Supplies offers a wide array of pet supplies, homeopathic supplies, supplements, flea and tick treatments, worming treatments, joint care supplements, wound care, skin and coat care, first aid, and more - all with free shipping and 100% guaranteed. PetFlow has partnered with Zak George to promise that they won't sell any products meant to inflict pain on animals, like shock collars or choke chains. Some stores are proud to say they have everything; PetFlow is proud to say they don't. Enough said. 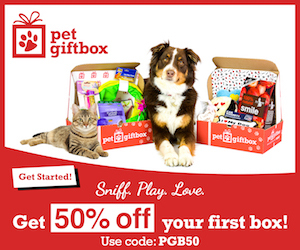 PetGiftBoxes contain a variety of products including treats, chews (dogs only) toys, and accessories. Every month features a new, seasonal theme which will delight you and your pets alike. They focus on treats that are limited ingredient, all natural and delicious – and always made in the USA. SitStay handpicks each product for its quality, reliability, and function. 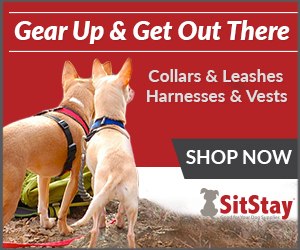 From specialized service dog accessories to natural treats and supplements – and a whole lot more in between. 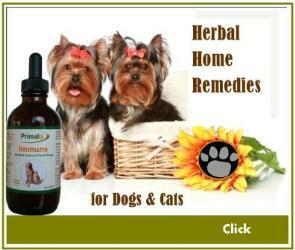 Total Pet Supply dispenses the best quality prescription and over-the-counter products, at the most affordable prices. 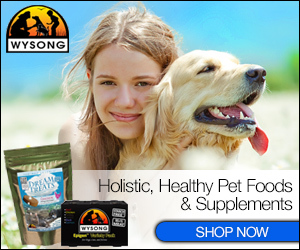 Wysong is not the typical pet food company consisting of marketers that outsource manufacturing and expertise. Their natural dog food, cat food, and other pet products are developed by in-house pet health doctorate professionals and produced in their own manufacturing facilities.